I am very pleased with Viking Pest Control from Sharon to Roy, etc. They listen and it gets solved!!!!! !Courtesy, efficiency you name it!!!!! Thank you for the great review Carol. We appreciate it. Satisfied with your service and meet with your professional staff that answered my questions. Thanks. Thank you so much for the review Alex. We greatly appreciate it. Great job by your employees and would recommend to anyone. The price quoted by the salesman was very reasonable. The technician Roy was very pleasant, explained what he was doing and why. I feel confident his work will get rid of my "pests"! Thank you for your kinds words, we appreciate it. The Technician that came in was very interested to eliminate the problem I'm confronting. He was very diligent and polite. Thanks. I own a 4 family home in New Jersey and one of my tenants had bedbugs. They did their own research and found Viking pest control. She then forwarded me the estimate for service given to her by representative Kevin Conly. I also did my own research and found another five star company. After speaking with both representatives of each company I found Kevin to be the most outstanding representative. Extremely knowledgeable and extremely patient and willing to answer any and all questions and boy did I have alot of questions. I then met with each individual at the apartment and was present with them as they did their walk-through and described their scope of work. I was already sold after speaking to Kevin but then meeting him and speaking to him face-to-face and watching him as he represented Viking only reinforced my decision. Today two representatives showed up to conduct the service as they are the mirror image of Kevin himself. Extremely courteous very friendly and very knowledgeable eager to discuss the scope of work and answer any questions that I had prior to leaving the apartment while they conducted their service. I am the type of person to make sure I take the time out to acknowledge people when they need to be acknowledged. I myself own a business and the best compliment I can receive is a happy client describing that I’ve done my job and my staff as well. 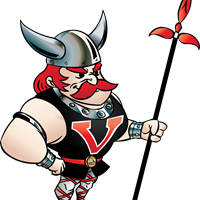 I would recommend Viking pest control if you are looking for quality service professionalism and courtesy and I suggest you ask for Kevin when you make that phone call. Hello Davide, thank you for the extensive and thorough review. Comments like this is what helps push Viking to the next level. Thank you again for the great view! Came out to my home in a timely fashion and were very friendly. I am on a maintenance program to give me peace of mind throughout the year! Thank you Monika, we appreciate your comments. Thank you for calling and taking the time to give us 5 stars!! We appreciate it. Thank you for the review! We appreciate that. agile and willing to jump fences and discover the root cause of the problems. I am very impressed with the team also including James and Dan so ready to help us in need of dealing with these critters, rodents and darn rascals. Thank you very much. Thank you Linda!! We really appreciate the kind words and feedback. We are so pleased to hear our techs could help with any pest issues.